I haven’t read anything by Lori until this book. I have heard wonderful things about her previous books so I was excited to read The Wood’s Edge. I was very much drawn into this story. Lori lays a lot of history for the reader but I was never bored. She weaves it into the story seamlessly, like a natural thread. Much of the part that is on the back cover blurb doesn’t actually take place for a while but I couldn’t wait to get to the part where Anna was older and things start to fall into place. I was intrigued by some point-of-view characters and how that would all play out and why Lori choose those people to see things from. Overall, this story deeply touched me and was just beautiful to read and take in. I would definitely read more of Lori’s work in the future. She has a unique writing voice that you don’t find just anywhere. Learn more about Lori here. Grab your copy at your local bookstore, Amazon, Barnes and Noble, Christianbook.com, Books-A-Million or your favorite retailer. A copy of this book was given to me by the Blogging for Books program in exchange for an honest review. Today we get write to the point with Carole Brown. She has visited us two other times, you can check out those interviews here and here. Read on to see what she up to these days. Angry at being rejected for military service, Minister Tyrell Walker accepts the call to serve as a civilian spy within his own country. Across the river from Cincinnati, Ohio, a spy working for a foreign country is stealing secret plans for newly developed ammunition to be used in the war. According to his FBI cousin, this spy favors pink stationery giving strong indications that a woman is involved. He’s instructed to obtain a room in the Rayner Boarding House run by the lovely, spunky red-haired Emma Jaine Rayner. Sparks of jealousy and love fly between them immediately even as they battle suspicions that one or the other is not on the up and up. While Tyrell searches for the murdering spy who reaches even into the boarding home, Emma Jaine struggles with an annoying renter, a worried father (who could be involved in this spy thing), and two younger sisters who are very different but just as strong willed as she is. As Tyrell works to keep his double life a secret and locate the traitor, he refuses to believe that Emma Jaine could be involved even when he sees a red-haired woman in the arms of another man. Could the handsome and svelte banker who’s also determined to win Emma Jaine’s hand for marriage, be the dangerous man he’s looking for? Is the trouble-making renter who hassles Emma Jaine serving as a flunky? Worse, is Papa Rayner so worried about his finances and keeping his girls in the style they’re used to, that he’ll stoop to espionage? Will their love survive the danger and personal issues that arise to hinder the path of true love? I developed an idea I got from an older friend of ours who served as a civilian spy during WWII. And I took my mother’s name and some of the memories to develop Emma Jaine Rayner and her character. Once I did, I fell in love with the 1940s. The nostalgia, romance, beauty, bravery, and loyalty of the men and women were outstanding and so attractive. What was not to like? It’s been a joy to write this book, probably the most fun of any book I’ve penned so far and for sure the easiest. It was a delight in every way, I suppose because that era fascinates me so much. I can’t remember it being a hard book to write at all. I loved writing this one–all of it. Some books I struggle to get through every chapter, but not this one. A total delight. Cincinnati (although I’ve lived there, it has been awhile ago). Studying this town again refreshed my feeling for it. Creating books that others might enjoy/be entertained/be inspired or encouraged/sigh with happiness. 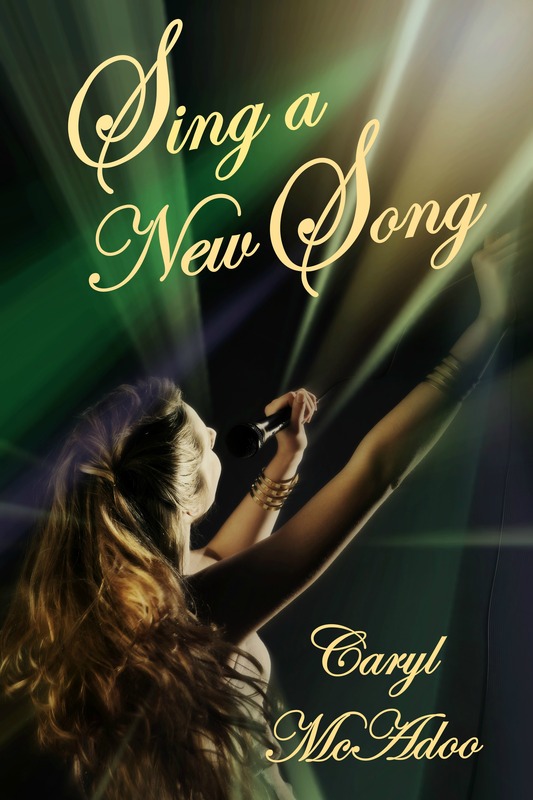 It’s music to an author’s ear to read/hear how much they’ve enjoyed your book. It’s such a joy when readers look forward to your next book. What’s the hardest thing about being an author? The pressure to push through another book. It’s not like it was before being published. Then, you could take your time; now, you have readers depending on you getting the next book out. I seldom have a lack of ideas for a book, but I, like many others, reach plateaus where I struggle to write, to get that next chapter done, the next scene, the next page. With God’s help, my hubby’s and critique partners’ help, I push on! What’s one piece of advice you have for aspiring writers? Anything you would like add? Thanks for having me, Melissa! Enjoyed it so much. Brown not only has her award winning (Winner of the 2015 Christian Small Publisher Award in General Fiction, nominated for an Epic Award, RWA International Digital Awards finalist in Inspiration, Laurel Award finalist, Selah finalist; Genesis semi-finalist) debut novel, The Redemption of Caralynne Hayman, available for purchase now, but a companion book called West Virginia Scrapbook: From the Life of Caralynne Hayman, filled with tidbits of information about West Virginia, quotes, recipes from West Virginia and from Caralynne’s life, pictures and discussion questions for the novel. November, 2013, the first book in her mystery series, Hog Insane, released. It’s a fun, lighthearted novel introducing the characters, Denton and Alex Davies. Look for the second book, Bat Crazy, late 2014 winter. 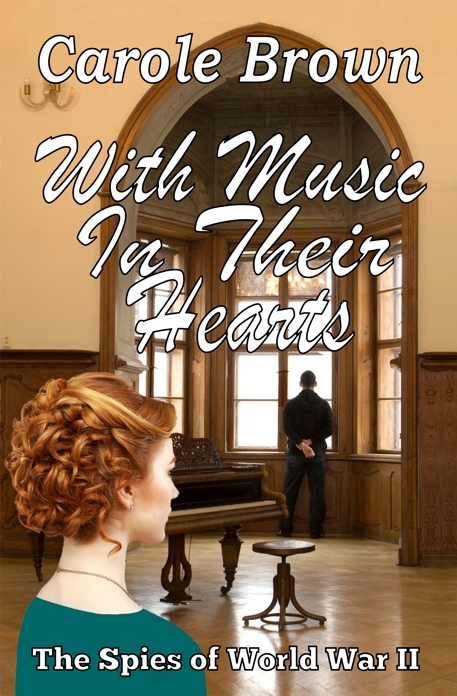 Released November 1, 2014, is the first book in a new WWII romantic suspense series: With Music In Their Hearts. Three red-headed sisters. Three spies. Three stories. Thanks so much for visiting with us again, Carole. It’s always nice to have your here. When his brother, King Nathaniel, discovers Stephen’s pre war secret, he must deal with an aspect of his life he longed to forget. But how can he do so without exposing the truth and breaching national security? I have read several of her books and have never been disappointed. Rachel has a deeply spiritual way of writing, there is much more going on then meets the eye. I love the spiritual growth of the characters in her books and the work of the Holy Spirit. Corina is hurting and she just wants to understand why she is. She doesn’t’ know how her brother died and Stephen knows the answer. She also doesn’t understand why Stephen abandoned her. Could the two be connected? Stephen hates the secret he has to keep and it’s even harder when he has to face Corina. He is definitely not your typical prince. Can these two come together and overcome the past? You’ll have to read the book to find out. An e-copy of this book was given to me by the publisher through Netgalley.com in exchange for an honest review. When Holly’s secrets backfire, is the mess too big to unravel? Holly Cramer has worked hard to keep the identity of her daughter’s father a secret, shamed and embarrassed by the one-night stand. But when the police knock on her door searching for Creed Kershaw, she realizes his identity isn’t as hidden as she thought. The fact that Creed is a person of interest in a recent drug-related murder only increases her humiliation. When Holly’s and Creed’s paths cross, Holly is unsure whether to be terrified of him or trust him. His tenderness with their daughter makes her want to believe his story that he had nothing to do with the murder. Then she discovers that Creed has a connection to Leonard Miller-who killed both her sister’s fiancé and her brother-in-law, and kidnapped her nephews-and things only become more complicated. Will Creed lead them to the man who has plagued her family, or become another of his victims? Terri Blackstock has sold over seven million books worldwide and is a New York Times best-selling author. 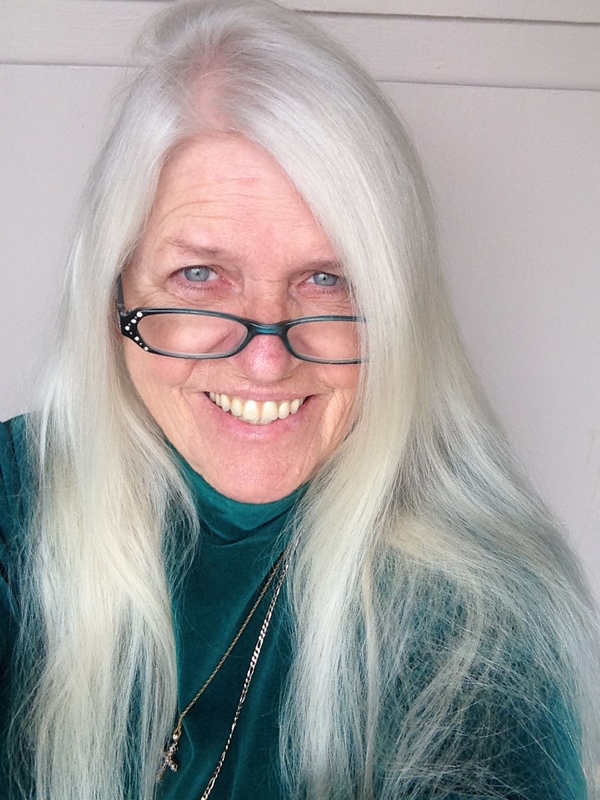 She is the award-winning author of Intervention, Vicious Cycle, and Downfall, as well as such series as Cape Refuge, Newpointe 911, the SunCoast Chronicles, and the Restoration Series. What a page-turner this book is. Interesting plot, characters that are trying to overcome their past mistakes but other people keep seeing what they once did and make judgments based on that. It sure made me think about how I judge people based on what I used to know about that person, yet I don’t want anyone to do that to me. It’s not fair, but I think we all do it. I loved Holly’s storyline and the fact that she walked away from a life of partying to take care of her daughter. I could totally feel the need to nurse when she was away from her daughter too long and her desire to do the right thing and prove it to everyone else. I wanted Creed to be a good guy and hoped he would be. I won’t tell you one way of the other 🙂 But it’s obvious he wants to care for his child. There are a lot of characters in this story and some storylines that must have carried over from previous books in this series. I haven’t read any of them. But I found that I wasn’t lost or frustrated. If anything I just had a desire to read the previous books so I could see what had happened. So I do think you can read this book on its own, I did and still thoroughly enjoyed it. If you like mystery, drama and tension you will enjoy this book. A copy of this book was given to me through the BookLook Bloggers program in exchange for an honest review. It’s taken me a long time but I think I finally understand this verse and I learned it through my daughter. As a young girl my daughter was on the strong-willed side of the fence. Not horrible but she definitely needed some bending of her will to that of God and her parents. I prayed that God would use her strong spirit for Him. Now as a middle schooler she is on fire for the Lord. Making decisions that will change her life and put her on a path to a life of joy with Jesus. I am so proud of her. However, she is still out spoken and now she is out spoke for Jesus. She calls darkness out in to the light and she is undergoing persecution because of it. This is hard to see. But Jesus was persecuted why should we be any different? As we struggled through some things this week the verse above came to me. And I realized she is fighting for the Kingdom of God and this should bring her, and us as parents, pure joy. The enemy doesn’t want light in our school systems. He has a nice place where he is working to take our kids away from Jesus and , unfortunately, he’s doing a good job. So, here is my revelation in a nutshell (maybe you already got this so indulge me while I process): if we are going through trails we should be full of joy because that means we are fighting against the darkness. If we are comfortable then we aren’t doing anything to scare the enemy. And that should scare us. Christians should be very uncomfortable with a comfortable life. I am examining my own life today and asking myself if I am comfortable or are their areas that I am uncomfortable with, that I feel a struggle? If am comfortable then I need ask myself if I am doing anything for the Kingdom of God or am I just living my life and trying to keep myself safe? Even though this week has been tough for my little girl we have had some great conversations about how God is using her. I am filled with pure joy because my daughter isn’t afraid to speak truth in a world that waters down the truth so we don’t make people uncomfortable. Let’s get uncomfortable and consider it pure joy! Have you been uncomfortable lately? Care to share? We’d love to consider it pure joy with you. Somewhere in a sea of tulle and taffeta, satin and crepe, Katie Fisher needs to find a key ingredient of the perfect wedding–the groom. Small-town girl Katie Fisher is busy planning her fairy-tale wedding. Sure, her boyfriend hasn’t managed to pop the question just yet, but that doesn’t mean she shouldn’t enter a contest in Texas Bride magazine to win the dress of her dreams, right? Anyway, she’s sure he’ll be getting down on one knee any time now. And a one-of-a-kind designer dress doesn’t just fall out of the sky right when you need it. 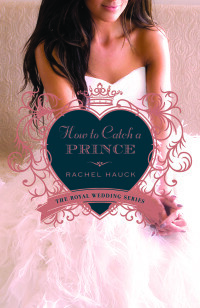 But when Katie’s boyfriend takes a job in another town and breaks up with her–on the very same day she wins her dream dress–her world is turned upside down. Dare she go to Dallas to claim her prize? And will the hunky pro basketball player who runs the beyond-swanky bridal shop–yeah, you read that right–discover her humiliating secret if she does? I needed this book. It seems I have been reading a lot heavier stuff lately and sometimes you need a book that has fun characters, a crazy family, a cozy grandma and romance. That’s what I can always find in Janice’s books and her newest release did not disappoint. 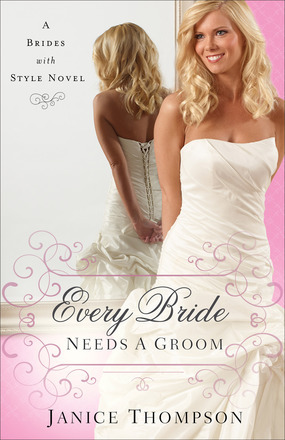 As soon as I opened the pages to Every Bride Needs a Groom I was drawn into the life of Katie and her desire to be married. She was so set in her ideal and how things should happen. Nothing could sway her from how she thought her life should play out. Not even wise, sweet Queenie, her grandma. But soon Katie finds out her life isn’t going the way she planned at all and she gets swept up in the contest she won. Now what? How will she get out of it? And what about this handsome basketball player hinted at in the back cover blurb? If he thinks she’s getting married how could anything happen between them? Today we get write to the point with Caryl McAdoo. You will see her popping up a lot over the next few months as she is a very busy author. Read on to learn more about her. Tell us about yourself, family, where are you from, how long have you been writing? Born in Long Beach, California, I was brought to Texas before my first birthday and consider myself a Texan through and through. 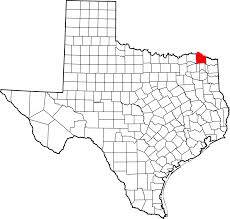 In 2008, with my husband and four grandsons, I moved from the DFW area—where we’d lived fifty-five years—to Clarksville, Red River County seat in far Northeast Texas, about three hours from the Metroplex. Our house sits a half-mile off the paved road back into the woods. I do love the small town, country life! We have five dogs, three outside: Zoe, a Great Pyrenees, Faith the Border Collie, and Bodark the walk-up mutt who’s probably part lab, part bulldog, but as sweet as you can imagine! And two come inside, a mother Berri Bitti Belle and daughter, Sassy, Markie duo (half Maltese-half Yorkie). Plus, a varying number of barn cats hang around depending on the day you count. We’re surrounded by trees, and I can look out over a pond in the back from the dining room or kitchen or utility room window. We’ve found a wonderful Church of God with a great youth group for the boys only about twenty-five minutes away, and toward Paris which is where my Walmart is. I am so blessed to share my life with my best friend since I was sixteen years old, the wisest, most Christ-like man I’ve ever known. With him, I brought four little McAdoos babies into the world, three sons and a daughter. All live in north Texas and all but the youngest is married giving me more children-by-love and fifteen grandsugars. Four of those special grandsons have lived with O’Pa and me (Grami) twelve years, but last year, two of them left—one off to college, and one to his other grandparents’ because that granddaddy fell and broke his hip. Our sixteen-year-old asked to go so he could be a help to them. So we’re down to two now and enjoy our little family of four. 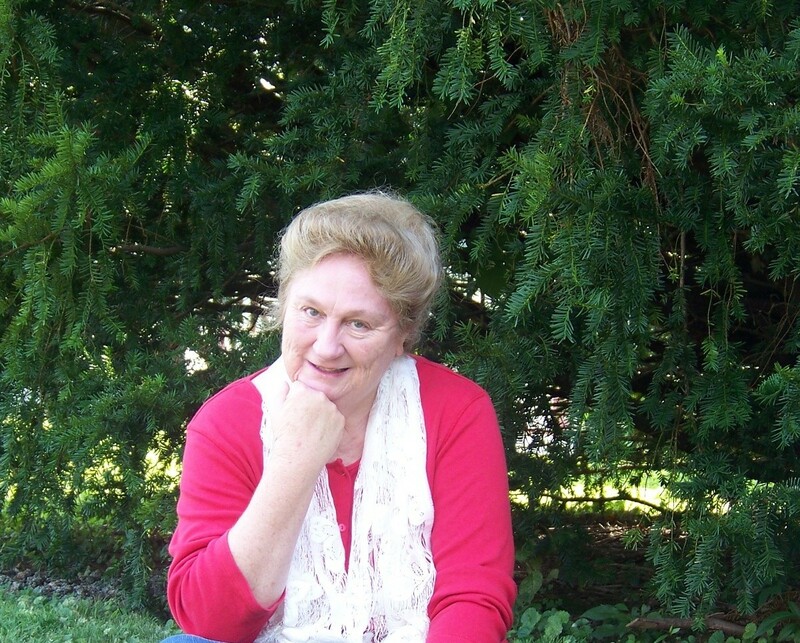 I enjoy the Brown Bag Book Club once a month at the Red River County Public Library, my Luncheon Ladies group that also meets once a month and two writers group meetings, and am hoping to set up an ACFW Chapter soon. I love working in the dirt, planting flowers, but getting up and down isn’t so easy anymore. Though in the Seventh Grade, back in 1962, I wrote in an essay on what I would be in the year 2000 that I’d be a famous author—jetting from planet to planet signing books—I didn’t start writing seriously for publication until the mid ’80s (my mid-thirties). How did you come to know Jesus as your Savior? My parents reared me in a little Southern Baptist Church in Dallas. When old enough, I got to go to Mt. Lebanon Summer Camp in near-by Cedar Hill. I accepted Christ as my Savior during one of the nightly tabernacle services. I remember staying in my place crying, and a lady came and asked me if I wanted Jesus to live in my heart. She led me through a prayer then went with me to the front where I confessed my decision. I was so excited, I couldn’t wait to tell my parents. It was a wonderful night. I ran up to the payphone by the concession stand and called them that night to tell them what Jesus had done for me! I was a nine-year-old in the summer of 1959. Tell us about your latest book(s). What do want your readers to take away after the last page? Motivated by an effort to get my titles out as quickly as possible, which I believe God led me to do, I’m on pace of releasing a book a month for 2015. Last year beginning with Simon and Schuster’s debut of VOW UNBROKEN in March, I published three more titles independently including LADY LUCK’S A LOSER in April then book two HEARTS STOLEN in the historical series, and A LITTLE LOWER THAN THE ANGELS, starting a Biblical fiction series The Generations. During the time S&S took from contract to shelf and the six additional months I had to wait before another book could come out, I wrote six titles. My 2015 plan started with these and I plan four additional, taking June and December off. So, my latest books are January – HOPE REBORN, book three in historical Texas Romances; February THE PREACHER’S FAITH, a new contemporary Red River Romance series; March, THEN THE DELUGE COMES, volume two of The Generations, and April SING A NEW SONG, book two of Red River Romances. I pray my story gives God glory, and hope at the end of every one, my readers feel closer to Him and have some issues to ponder on achieving just that. Life—to my way of thinking—is all about getting closer to Him, daily improving and deepening our relationship with our Maker. How often do you blog and what do you cover in your blog? I admit that I blog sporadically at my personal blog, mostly sharing my author’s life, new releases. I love supporting other Christian authors with interviews and book reviews. I’m a co-founder on India’s Crown in Christian Literature Excellence where we post an author’s interview each week, my turn comes up once or twice monthly. I’ve recently joined two other blogs: Stitches Thru Time – I post once or twice a month with a devotional or fun craft post—every day there is for something different; and Faith, Friends, and Chocolate where I also blog once a month. Always, every post, I desire to bring God glory. Can you share with us a favorite book you have read? Most recently, THE TOMB by Stephanie Landsem. It’s a Biblical fiction about Martha and her family. As Christians, we’re all familiar with the story of that famous Bible family who entertained and were good friends with Jesus. Later, the sisters send for Christ when their brother gets sick, but He doesn’t come in time, and Lazarus dies and is buried. In THE TOMB, Lazarus is the younger brother, a ten-year-old when we first meet him. Stephanie spins a wonderful, wholly believable story that absolutely lines up with the Word. I quit reading a book or watching a movie that detours one iota from the Bible’s Truth. I can tell you this, regarding this five-star-fiction, you will never see Martha in the same way again. I loved THE TOMB and highly recommend it. Can you share with us a Genesis 5020 in your life? 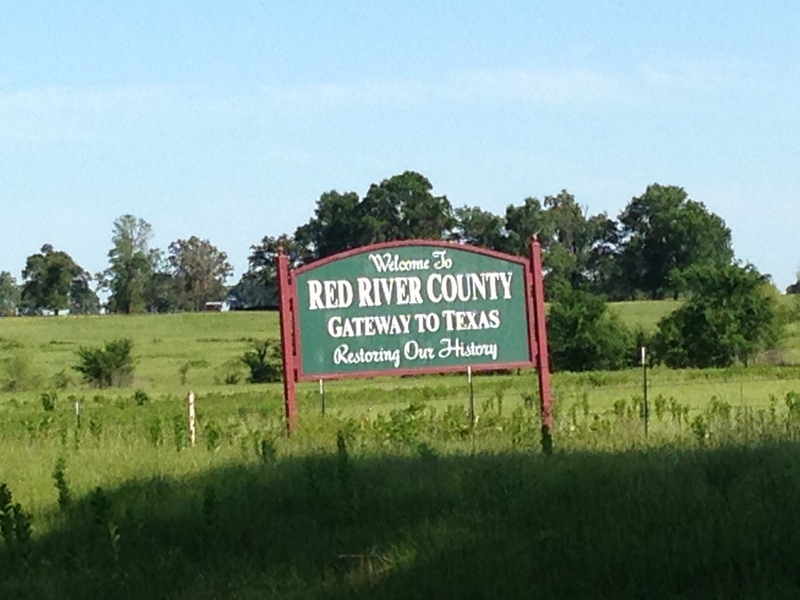 I spoke earlier of moving to Red River County in early ’08. In the fall of ’07, our mortgage payment went from $750 each month to over $1500. Then in December, the City of Grand Prairie sent six or seven departments out to our River Bottom Ranch and shut down our only source of income. For five years, we ran a stable and took care of other people’s horses on the 113 acres God supplied us to use in the Trinity River bottoms between Dallas and Ft. Worth. Suddenly, we had these huge house payments and no income. Evidence that the enemy meant to destroy us. Friends and family asked repeatedly, “What are you going to do?” We didn’t know. We only trusted God and prayed for Him to show us. 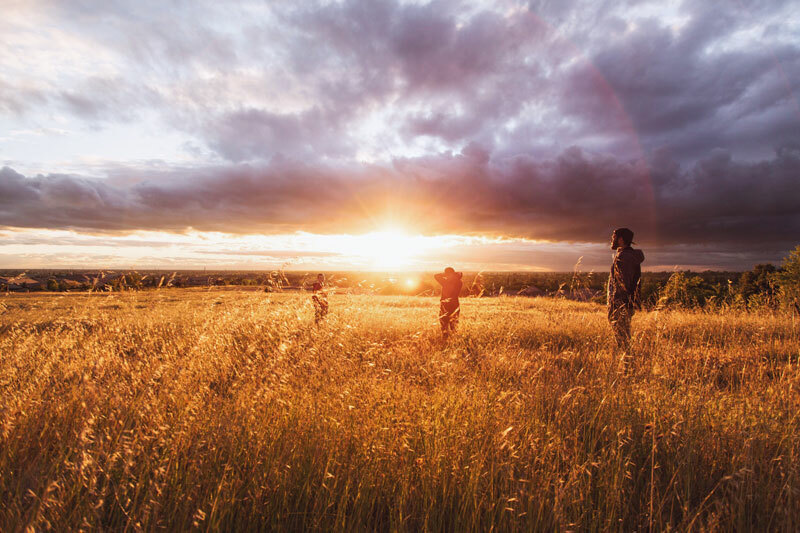 On visiting Red River County, to ascertain if a little old farm house on the hunting property Ron’s brother had purchased the summer before might be inhabitable, we both immediately knew this was where God wanted us. But the house was too far gone. With assurance this is where we were meant to be, we rented a 1000 square feet farm house (one bathroom, no interior doors). When we met the owner to get the key, he refused our rent money. Told us to use it to fix the place up, that it was such a blessing to have us in his Mama’s house—although we’d never met before. That was God’s first confirmation we were in the right place. Many more followed. Do you have a life and/or a ministry verse? Habakkuk 2:3 For the vision is yet for an appointed time, but at the end it shall speak, and not lie: though it tarry, wait for it; because it will surely come, it will not tarry. I have been waiting a long time. God gave me this verse three times on one early Sunday morning back in 1987. I was waiting before that. My Mama asked me once, “How long, Caryl? How long are you going to believe that vision and wait?” I told her, “Mama, until it comes to pass, or I go on to Heaven. I would rather believe and wait and be in obedience than give up and miss Him. He knows my heart. I trust Him.”She went to live with Him in 1997, and surely now cheering me on as I wait upon the Lord. Is there anything I didn’t ask that you would like to add? Nothing except to thank you for the opportunity to testify, Melissa! We shall overcome by the Blood of the Lamb and the Word of our testimony, loving not our own lives, even unto death! Revelation 12:11 Blessings to you! Amen 🙂 Thanks so much for sharing with my readers and we look forward to you visiting again soon.